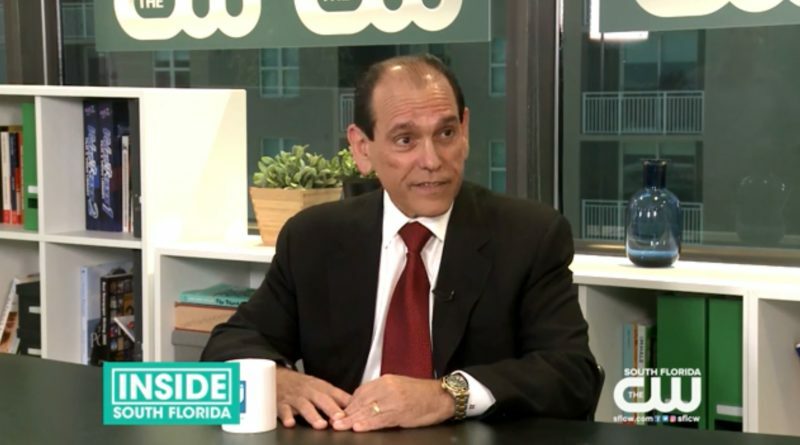 Henry Torres, CEO of The Astor Companies and developer of the newly completed Merrick Manor, was featured on the latest episode of “Inside South Florida” on the CW Network. Torres discussed his luxury residential building and the significant growth Coral Gables is experiencing. During his appearance on the show, Torres spoke about Merrick Manor – the largest residential project in the City Beautiful – and the unmatched lifestyle Merrick Manor residents can enjoy. Between the building’s amenities and the shopping, dining, entertainment, golf courses and art galleries nearby, the Merrick Manor experience truly cannot be beat. The 10-story, 227-residence Merrick Manor is located at 301 Altara Ave., Coral Gables, FL 33146. Torres also discussed the recent shift in Coral Gables to allow for new large-scale commercial developments. He noted how Miracle Mile in downtown Coral Gables has been revitalized by the city’s $20 million streetscape improvement project to make the retail and restaurant hub more pedestrian-friendly and vibrant. The Agency Collective is exclusively handling residential sales at Merrick Manor. For more information, visit the Sales Gallery at 4200 Laguna Street or call (305) 779-6870.